DESCRIPTION – MADE IN THE USA. 1-1/4" Flat Raschel Lace 100% Polyester. DESCRIPTION – MADE IN THE USA. 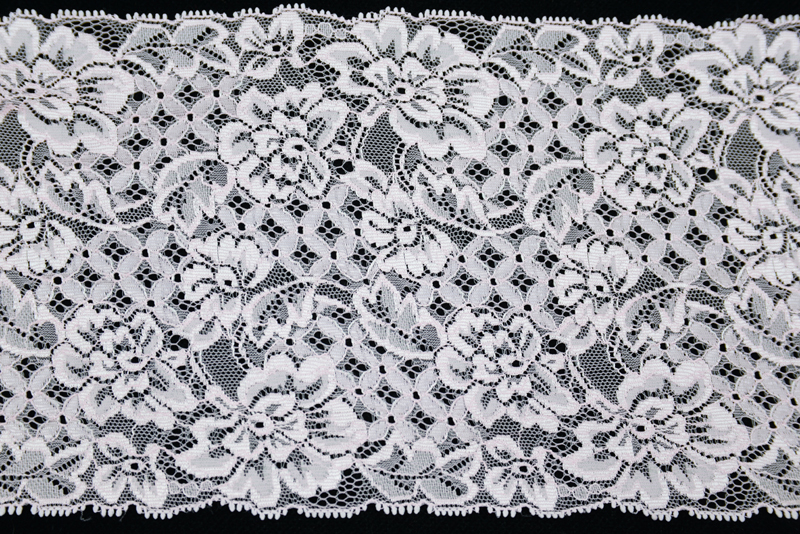 1.25" Flat Raschel Lace. Made of 100% Polyester. DESCRIPTION – MADE IN THE CHINA. 2" Flat Raschel Lace. Made of 100% Polyester. DESCRIPTION – MADE IN THE USA. 3" Flat Raschel Lace. Made of 100% Polyester and Flame Retardant. DESCRIPTION – Item No. 535 Camelia Pink - MADE IN THE USA. 7" Flat Raschel Galloon Lace 90% Nylon, 10% Rayon.